At the end of 2017 the industry made a comeback. We rang in 2018 with a sense of optimism that this would be the year donor retention and revenue would rebound. When the first First Quarter report released our optimism dwindled. Donor Retention was down. Revenue was down. Things were looking not looking good. There was a silver lining - the under $250 donors had an increase of 3.7% as compared to the same period last year. This was the only segment that had positive change. Perhaps we were overly optimistic at the end of 2017. Some say results exceeded expectations because of newly passed tax reform laws, others think it could be related to the disaster response. Since Q1 results were such a bummer [official analyst term], we've been anxious for the Q2 report to assess if we might find some reprieve. Unfortunately, we're still gazing out the window, looking for that reprieve to show up. It's no where in sight. The results from Q2 2018 are concerning. 🚩 Donors are down -6.6% from -6.2% in Q1. Take a look at the image below. This graph depicts the amount of revenue that is generated in each quarter. Not surprising, the majority of donations are generated in Q4. That means we can expect to see slow progress between now and end of October. However, the second quarter generates the majority of donors - averaging 29%. The next month looms large for many organizations. A vital first step is to ‘know your numbers’. 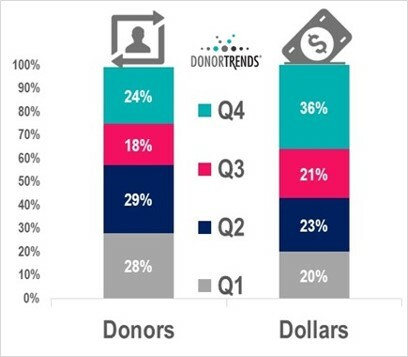 Have you retained more donors in Q2 than you did last year? Has revenue increased or decreased? If you don’t know, find out. We’re here to help if you need it. You can calculate your metrics on your own or reach out and we'll calcualte them for you. How do you compare against yourself? How do you compare against the sector? The quadrants below represent these comparisons. Are you a Challenger, Leader, Climber, or Troubled? Leaders: You are a fundraising superstar, tracking ahead of the sector and ahead of your prior year. Whatever you are doing don’t stop. Look into why things are going well, is it the political or economic climate? If it is, perhaps you should strike while the iron’s hot. If the there is a temporal component to your success, then invest now in acquisition and reactivation. It will not always be this easy to grow your file. Share the love, post your successes in the comments and let others know what you are doing right. 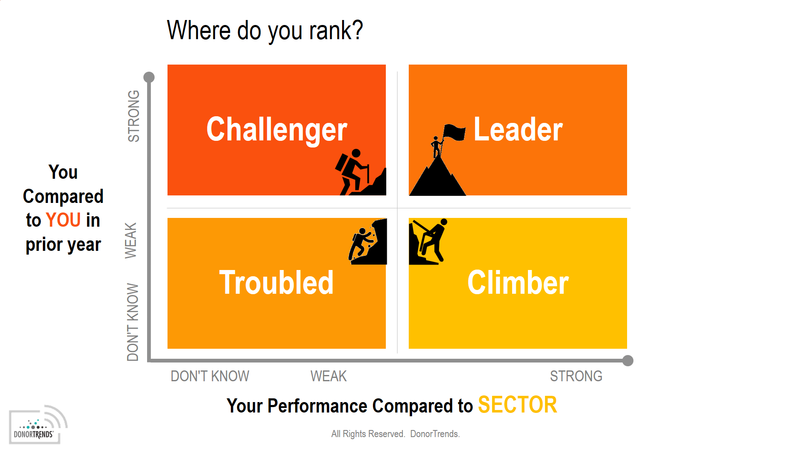 Challengers: You are tracking ahead of where you were last year, but behind the sector average. Given the sector average is declining this could spell trouble. You are on the right path, however. The first thing is to identify where you are weakest, what are the trouble areas. After you identify the areas that are lagging, it’s time to invest in improving those areas. If the retention numbers are weak, then focus on better donor communication and improving your contact cadence. 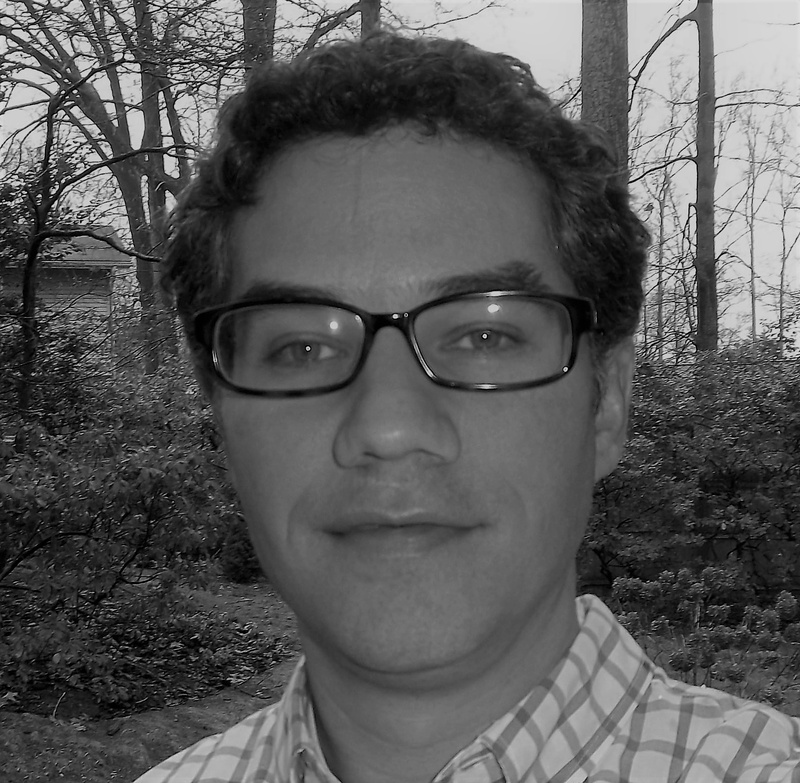 If your average donation amount is below the sector, focus on upgrading donors. You can use predictive models to identify donors that are likely to increase and then ask those donors to stretch their gifts. Climbers: You are ahead of the sector, but behind your prior year. That means you are traveling at a good speed, but in the wrong direction. First thing is to look at last year, was it an abnormal year? Are you tracking behind because there was a surge last year or is this a multi-year trend. If the pattern looks like a trend, then it is time to identify the cause. If the problem is related to retention, you will need to collect some donor feedback. Whether that is through a survey, a focus group, or even your own donor services team, you need to find out why their support is waning. If the problem is related to donation size, try to put it into context. Was there a capital campaign? Have your asks changed? What is going on with your major donors. Since likely you have personal relationships with these donors, reach out and ask them. Troubled: You are tracking behind the sector and you are losing ground. The red flags are up, you need to be paying attention. Something is just not working. You should go into triage mode. First identify where you are losing the most ground. Then you should build a plan to first stop the decline and then focus on rebuilding. The next couple of years may be hard but getting a strategic plan that will allow you to invest in acquisition and file maintenance could save the program. It also may be time to do a creative audit, to see if the problem may be in your communications. It is never easy when performance is down. Don’t worry it is not too late to turn this ship around. Data often is overwhelming but shouldn’t be. If you need help calculating or understanding your donor retention and revenue trends, give us a shout. … or if you’re a Data Ninja, get started here. We consider Fundraising Effectiveness Project the most important sector benchmark, representing more than 17,000 organizations. These transactions make up the Growth in Giving database [GiG]. This is the biggest database of its kind and provides organizations across the sector benchmarks to gauge their own progress. Learn more at afpfep.org.